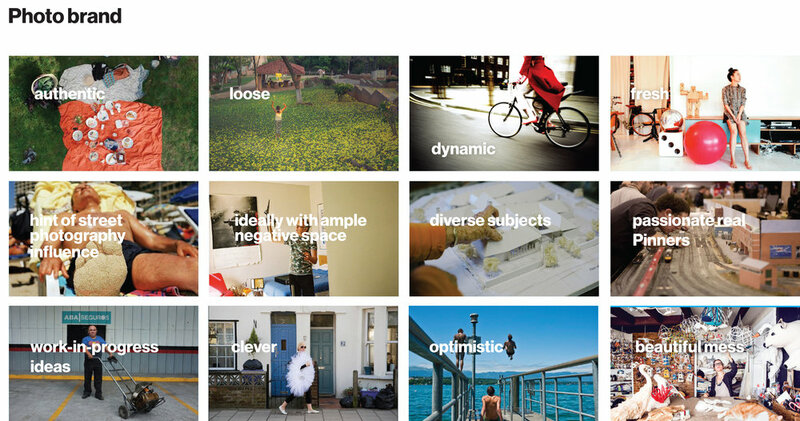 Defining and executing on how the Pinterest brand looks in photographs. At Pinterest we went to great lengths to make our brand and style guidlines consistent, thoughtful, and human. Priority One: Put Pinners first. As a member of the Brand Team, I helped establish Pinterest's Photo Brand guidelines. Early one sheets I made for photographers and content creators to refer to, in order to understand the brand at a glance. The complete photo guidelines can be found at brand.pinterest.com/photo.